Dippin’ Dots/Chocobo’s Mystery Dungeon Everybuddy Sweepstakes – Win a Nintendo Switch! Win a Nintendo Switch & more (3 winners)! ENTRY LIMIT – Limit of one (1) entry per internet protocol address per day during the Promotion Period. 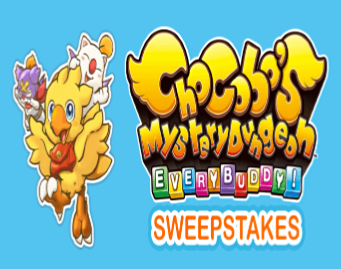 ELIGIBILITY – The DIPPIN’ DOTS/CHOCOBO’S MYSTERY DUNGEON EVERYBUDDY SWEEPSTAKES Promotion is open only to legal residents of the fifty (50) United States (including District of Columbia) who are at least thirteen (13) years old at the time of entry. 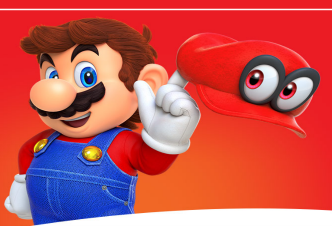 SWEEPSTAKES ENTRY PERIOD – The Promotion begins on or about March 1, 2019 at 12:00 P.M. Central Time (“CT”) and ends on March 31, 2019 at 12:00 P.M. CT.
PRIZES – THREE (3) GRAND PRIZES are available each consisting only of: (i) a Nintendo Switch gaming console, (ii) Chocobo’s Mystery Dungeon Everybuddy game for the Nintendo Switch gaming console, (iii) a Chocobo-themed lunchbox, (iv) one (1) certificate redeemable for one (1) Dippin’ Dots home delivery shipment, consisting of one (1) 30-serving kit which shall include one (1) bulk bag (approx. 1 gallon) of Dippin’ Dots product which shall be mailed to the address provided by the Prize Winner in his/her entry or in response to the prize notification, said certificate expiring April 30, 2020; and (v) free ground shipping of home delivery shipments redeemed pursuant to the certificate. Total Actual Retail Value (“ARV”) of all three Grand Prizes: $1,259.94. WINNER’S LIST – To obtain a copy of the Prize Winners list, send a self-addressed stamped envelope to The Dippin’ Dots Chocobo Sweepstakes, Dippin’ Dots LLC, 5101 Charter Oak Drive, Paducah, KY 42001. Prize Winners list requests will only be accepted after the end of the Promotion Period and no later than September 30, 2019. FL, NY, and VT residents may omit return postage when requesting a Prize Winners list. These Official Rules will be posted at the Website during the Promotion Period. Yoplait Instant Win Game – Win a Nintendo Switch & more! Win a Nintendo Switch (300 winners)! ENTER SWEEPSTAKES HERE – Yoplait Sweepstakes page. ENTRY LIMIT – Limit: Each entrant may play one (1) time per day during the Promotion Period. ELIGIBILITY – Yoplait Instant Win Promotion (the “Instant Win Game”) is open only to legal residents of the fifty (50) United States (including District of Columbia) who are at least eighteen (18) years old at the time of entry. SWEEPSTAKES ENTRY PERIOD – The Instant Win Game begins on October 22, 2018 at 12:00 a.m. Eastern Time (“ET”) and ends on March 1, 2019 at 11:59 p.m. ET. 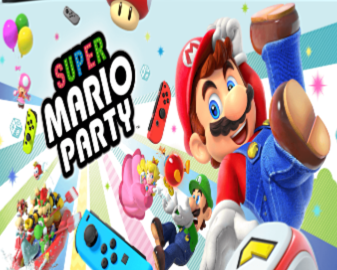 PRIZES – THREE HUNDRED (300) GRAND PRIZES: Each winner will receive a Nintendo Switch system; an additional pair of Joy-Con controllers; the Super Mario Party game; and a $20 Nintendo eShop Card. Approximate Retail Value (“ARV”): $398.99. FIVE HUNDRED (500) FIRST PRIZES: Each winner will receive a $20 Nintendo eShop Card and one (1) of the following games, game distribution at Sponsor’s sole discretion: Super Mario Party, Super Mario Odyssey, Mario Kart 8 Deluxe, Mario Tennis Aces, Captain Toad: Treasure Tracker, Donkey Kong Country: Tropical Freeze, Splatoon 2, Pokémon: Let’s Go, Pikachu!, or Pokémon: Let’s Go, Eevee!. ARV: $99.99. WINNER’S LIST – For a list of the Instant Win Game winners, visit http://bit.ly/2mJFp4P. The winner list will be posted after winner confirmation is complete. Lunchables Nintendo Mario Party Giveaway – Win a Nintendo Switch & more! Win a Nintendo Switch & more (500 winners)! ENTER SWEEPSTAKES HERE – Lunchables Sweepstakes page. To enter without a UPC code, there is a place to click at the very bottom of the entry page. You will watch a video and then be able to enter. ENTRY LIMIT – . Limit: one (1) Game play per day per email address/person, regardless of method of entry. ELIGIBILITY – Game is open only to residents of fifty (50) United States and the District of Columbia six (6) years of age and older at the time of entry. SWEEPSTAKES ENTRY PERIOD – Game begins at 12:00 am ET on October 1, 2018 and ends at 11:59 pm ET on December 31, 2018. 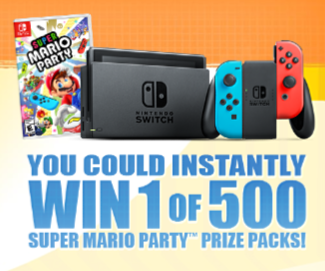 PRIZES – Five hundred (500) First Prizes: First Prize Pack includes: 1 Nintendo Switch system, 1 pair of Joy-Con controllers, 1 Super Mario Party video game, 1 branded carrier case. ARV: $450. WINNER’S LIST – For a winner list, visit http://bit.ly/2yw0Qio. The winner list will be posted after winner confirmation is complete. Little Debbie® Double the Chocolate Double the Fun Giveaway – Win a Nintendo Switch! Win a Nintendo Switch (4 winners)! ENTER SWEEPSTAKES HERE – Little Debbie Sweepstakes page. ENTRY LIMIT – Maximum one (1) entry per person per twenty-four (24) hour period during the Giveaway Period. ELIGIBILITY – The Giveaway is open to all legal residents of the forty-eight (48) contiguous United States and the District of Columbia who are at least eighteen (18) years or older (nineteen (19) years or older for Alabama and Nebraska residents) at the time of entry. SWEEPSTAKES ENTRY PERIOD – The Giveaway begins on Monday, September 24, 2018 at 12:00 PM Eastern Time (“ET”) and ends on Wednesday, October 24, 2018 at 11:59 AM ET. PRIZES – First Prize: Four (4) First Prize Winners will win one (1) Dual Player Gaming Package that includes a Nintendo Switch system, Nintendo Switch Team Sonic Racing by Sega and Captain Toad Treasure Tracker by Nintendo video games, and a Nintendo Switch Deluxe Travel Case (ARV $398.97). Second Prize: Four (4) Second Prize Winners will win one (1) Video Game Package that includes Nintendo Switch Team Sonic Racing by Sega and Captain Toad Treasure Tracker by Nintendo video games, and a Nintendo Switch Deluxe Game Case (ARV $92.97). Third Prize: Twenty (20) Third Prize Winners will each win one (1) case of Little Debbie® Double Chocolate Bagged Mini Donuts (ARV $23.88). 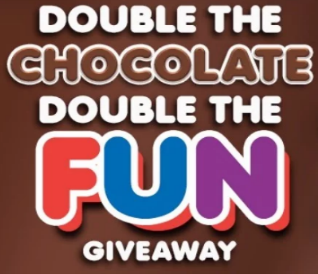 WINNER’S LIST – To obtain a winners’ list and/or a copy of these Official Rules by mail, mail a self-addressed stamped envelope to Official Rules or Winners’ List, Little Debbie® Double the Chocolate Double the Fun Giveaway, 10260 McKee Road, Collegedale, TN 37315. Mail must be received by 12:00 PM ET on December 1, 2018. 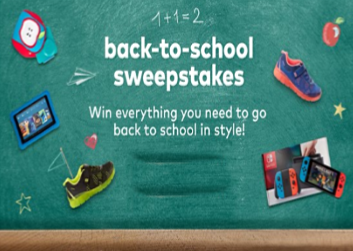 Stride Rite Back to School Sweepstakes – Win tablets for the whole family & more! Win a 12 pairs of Stride Rite shoes, Amazon Fire Tablets and more! ENTER SWEEPSTAKES HERE – Stride Rite Sweepstakes page. ELIGIBILITY – PARTICIPANTS IN THIS PROMOTION MUST BE LEGAL RESIDENTS OF ONE OF THE CONTIGUOUS 48 UNITED STATES OR THE DISTRICT OF COLUMBIA, 18 YEARS OR OLDER, AND ACCESSING THIS SITE IN THE UNITED STATES, ITS TERRITORIES, POSSESSIONS, OR COMMONWEALTHS. SWEEPSTAKES ENTRY PERIOD – THE PROMOTION WILL BEGIN ON AUGUST 14, 2018 AT 00:00 AND RUN THROUGH 03:00 ON AUGUST 28, 2018. WIN A YEAR’S WORTH OF FREE SHOES AND THE ULTIMATE-BACK-TO-SCHOOL GIFT PACK. GIFT PACK INCLUDES: FREE STRIDE RITE SHOES FOR A YEAR (12 PAIRS), AMAZON FIRE TABLETS FOR THE WHOLE FAMILY, NINTENDO SWITCH + GAMES AND ACCESSORIES, A LEGO SET, WEARABLE GPS TRACKERS, HEADPHONES AND SCHOOL SUPPLIES. THE APPROXIMATE RETAIL VALUE (ARV) OF THE PRIZE IS $1600 ($1600). WINNER’S LIST – AFTER NOTIFICATION TO THE PRIZE WINNER, THE WINNER’S NAME MAY BE DISPLAYED IN PLACE OF THE ONLINE ENTRY FORM WHEREVER PUBLISHED, AND WILL BE AVAILABLE BY CONTACTING THE SPONSOR AT CUSTOMERSERVICE@STRIDERITE.COM. Post Presents the Nintendo Switch Instant Win Game – 500 winners! Win a Nintendo Switch and a Super Mario Odyssey game (500 winners)! ENTER SWEEPSTAKES HERE – Post Sweepstakes page. Go here to get a free code. Entrant or the method used to acquire the Codes, there is a limit of three (3) Code entries per Entrant per day during the Promotion Period. ELIGIBILITY – This Promotion is offered only to legal residents of the fifty (50) United States and the District of Columbia who are at least eighteen (18) years old at the time of entry. SWEEPSTAKES ENTRY PERIOD – The Promotion begins on September 1, 2017 at 12:00 PM (noon) Eastern Time (“ET”) and ends on March 31, 2018 at 11:59:59 PM ET. PRIZES – Prizes (500): Each winner will receive a Nintendo prize pack that includes a Nintendo Switch™ system plus a Super Mario Odyssey game (each a “Prize”). There will be no more than five hundred (500) Prizes available in the Promotion. The Approximate Retail Value (“ARV”) of each Prize is $359.98. 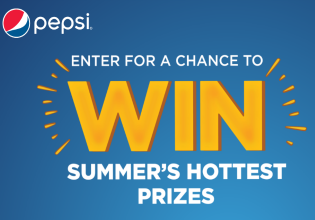 Pepsi Fire Summer Sweepstakes – Win a trip to the Video Music Awards! Win a trip to the Video Music Awards (5 winners) or other great prizes! ENTER SWEEPSTAKES HERE – Pepsi Sweepstakes page. ENTRY LIMIT – Limit one (1) entry per person/email address/household per day, regardless of entry method. ELIGIBILITY – Sweepstakes open only to legal U.S. residents of the United States and the District of Columbia, who are 13 years of age or older at the time of entry. SWEEPSTAKES ENTRY PERIOD – Sweepstakes begins May 18, 2017 at 8:00:00 a.m. Eastern Time (“ET”) and ends July 16, 2017 at 11:59:59 p.m. ET. PRIZES – Five winners per day.